Color is one of the most powerful tools a graphic designer has in his or her arsenal. When used correctly, it can draw viewers in and inspire emotion. When misused, it can be off-putting, distracting, and downright ugly. Fortunately, using color well isn’t a skill that you must be innately born with to succeed as a graphic designer. You can learn! In this post, we’ll go over basic concepts you can use to start experimenting with color. The first step to studying anything is to learn the lingo. 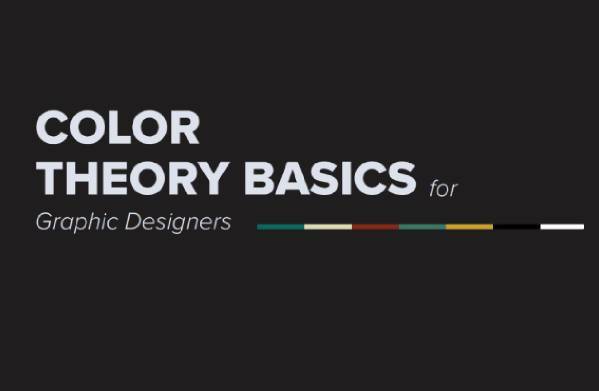 Here are some of the most commonly used terms in color theory. There are three primary colors: red, yellow, and blue. These colors cannot be created by mixing other colors. There are three secondary colors: green, purple, and orange. These colors are made by mixing primary colors. These colors are created by mixing primary and secondary colors. Colors made lighter by the addition of white are considered tints. Colors made darker by the addition of black are considered shades. Colors changed by the addition of gray are considered tones. Color harmonies are the different ways you can combine colors to look good together. There are several different theories for how to create these visually appealing color combinations. Color is a general term we use to describe what we see around us. It can describe any tint, shade, hue, etc. Hue is used to explain the dominant color family of a color. Essentially, a hue describes the origin of a color. White, black, and gray could be described as colors, but not hues. Generally, hue and color are used interchangeably (and we will use them in interchangeably in this blog), but it’s useful to know the technical difference. Artists, scientists, and philosophers have developed different versions of the color wheel for centuries. Most color wheels come down to a simple concept: a circular diagram that organizes colors into a logical fashion. Color wheels are organized by their chromatic relationship. The color wheel starts out by placing the primary colors equal distance away from each other on the circle. Secondary and tertiary colors are placed between each of the primary colors, creating a bridge. White, black, and gray are generally left out of the color wheel because they don’t count as hues. There are several different theories for determining what colors look good together. The good news is that gives you a lot of options. Here are a few basic color harmonies to know. Analogous color schemes generally consist of three colors side by side on the color wheel. These colors often look good together. You can see many analogous color schemes in nature with plants, animals, etc. It’s important to balance the three chosen colors in this scheme. You should choose one hue to be the dominant color, and the second should be in a supporting role. The third should be used as an accent. Complementary colors are exactly opposite each other on the color wheel. Simply pick a base color and then find the color on the other side of the circle. If you want a vibrant, full-contrast look, complementary color schemes can be a great option if used carefully. You often see complementary color schemes in images where the designer wanted to make a bold statement. For example, the Incredible Hulk is green with purple pants. The specific colors used for the Hulk are complementary, which works well for the high-powered superhero. Avoid using complementary colors for text as it can be quite jarring. Sometimes complementary color schemes can have a little too much tension. If this is the case, simply choose a split complementary color scheme. First, pick a base color. Next, determine the complementary color. Finally, identify the colors on either side of the complementary color. You’ll end up with three colors that work well together without the same strong tension of a complementary color scheme. Split complementary is one of the most recommended color harmonies for beginners. It’s easy to identify, difficult to mess up, and it almost always looks great. Triadic color schemes are vibrant with a high contrast. To create a triadic color scheme, simply pick three hues that are equal distances from each other on the color wheel. Primary colors and secondary colors are both triadic color schemes. Triadic color schemes are great for charts and other similar graphics where you want to emphasize comparisons. When using the triadic color scheme for other purposes, it’s important to pick a dominant hue and use the others as accents. You can also choose softer tints of two of the colors to dial down the intensity of the contrast. You can use different colors in your designs to inspire different emotions. Once you decide the emotion you’d like to inspire with your work, you can pick a color to serve as the base when deciding on a color scheme. The color wheel can be divided into two categories—warm and cool colors. Red, yellow, orange, and all combinations of these colors are considered warm colors. Blue, green, light purple, and their combinations are considered cool colors. Warm colors are, as the name suggests, associated with warm things like sunlight, heat, etc. When used together, they can create a cozy feel. They are also used to evoke more intense emotions. Cool colors are known for their calming, soothing effect. Cool colors often remind viewers of the cold, water, ice, snow, and the sky. There are many theories on what colors to use to evoke different emotions. As you gain more experience, you’ll have your own preferences as well. Here’s a quick guide to use in the meantime. At Independence University, we offer several degrees in the graphic arts; request more info about our online degree programs.